Weadé Wallace, deputy director of Advocates for Justice and Education, joins the Education Town Hall to discuss the organization’s work and the state of special education justice in DC. 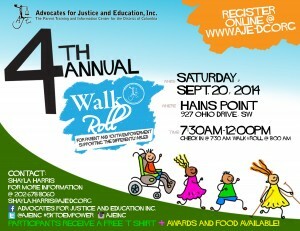 AJE was founded in 1996 by DC public school parents seeking educational justice for students with special needs. Nearly 20 years later, still governed and led by parents, AJE remains focused on increasing public awareness of the state of special education in the District and its consequences and on empowering youth and parents to be advocates for appropriate education. Learn more by listening to Track 2 below. for Parent and Youth Empowerment Supporting the Differently-Abled.” Register for the September 20 free, fun event — 7:30 a.m. to noon at Hains Point in DC. 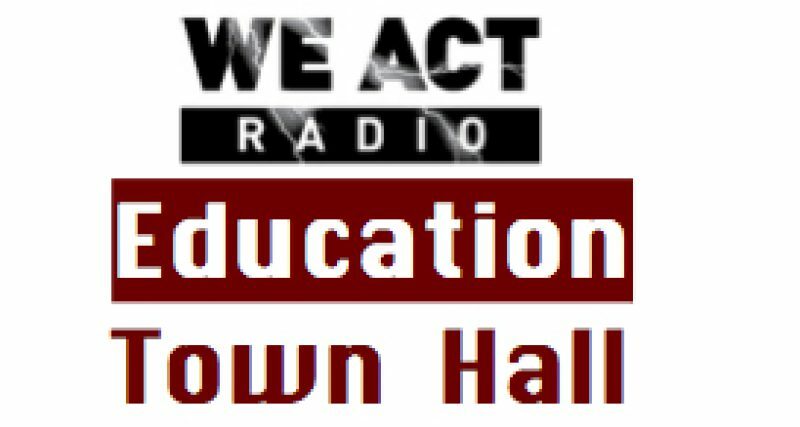 Education Town Hall broadcasts Thursdays at 11 a.m. Eastern. Listen live via TuneIn. Shows are archived shortly after broadcast for convenient (re-)listening.